A month or so ago, a member of the Erasable Podcast Facebook group posted a picture of some pencils he bought from Japan — a Mitsubishi Uni model called “Palette” which bills itself being “designed for students. What really struck me at first about these, when seeing a picture of them, was the three shades of bright, brilliant blue on the pencil barrels. From a rich Navy blue down to a vibrant Baby blue varnish, with bright pearly-white imprints, this stood out to me, especially compared to its higher-end cousin, the understated maroon Hi-Uni. My wife, considerate person that she is, noted my enthusiasm and went about tracking down a pack. She found a seller on Amazon that shipped from Japan, for free! Of course, it took almost a month to arrive, but when it did, I was so excited to break it open. As I mentioned before, the most striking feature of the pencil is the bright blues it comes in. It feels a lot more fun and light than the darker, serious maroon, black and gold of the Hi-Uni. It makes a lot of sense, being for students. The ends were unfinished, which was a bit disappointing. One of my favorite things about many Japanese pencils are the dipped or capped ends that often have a pinstripe or some detailing to finish it. A bright white to match the foil stamp would have been nice. But to keep costs down, I completely understand why it was bare. Upon closer inspection, I was pleased to see that all the cores looked perfectly centered inside the wood. The casings seemed perfectly aligned and there were no chips or paint overspill despite the dramatic woodgrain. The pencil sharpened like a dream. As with many Japanese pencils, It sharpened smooth and the wood sheered off in almost one piece. I used my Kum Masterpiece, my favorite hand-held sharpener, to get that razor-sharp long point I prefer. The first thing to note is how dark and smooth it is. For a 2B, it was so rich and smooth — waxy, almost — that I thought it was an error. Surely this was a 4 or 6B! Because it was so soft and smooth, it didn’t hold its point for very long. It could be because I was writing on fairly toothy paper — a Baron Fig Confidant — but by the time I got two-thirds of the way down the page, the point was quite dull. I wasn’t even pressing very hard. However, what really makes this pencil stand out is the smudgeability (is that a word?). As soon as I wrote a few words, I ran my finger across it and barely got a smear. This felt more like a 2B than something softer and darker. What makes it “designed for students”? The day I opened up these pencils, I had lunch with a friend of mine: Bruce Eimon, who started Think on Paper .Co, a company specializing in Japanese stationery. 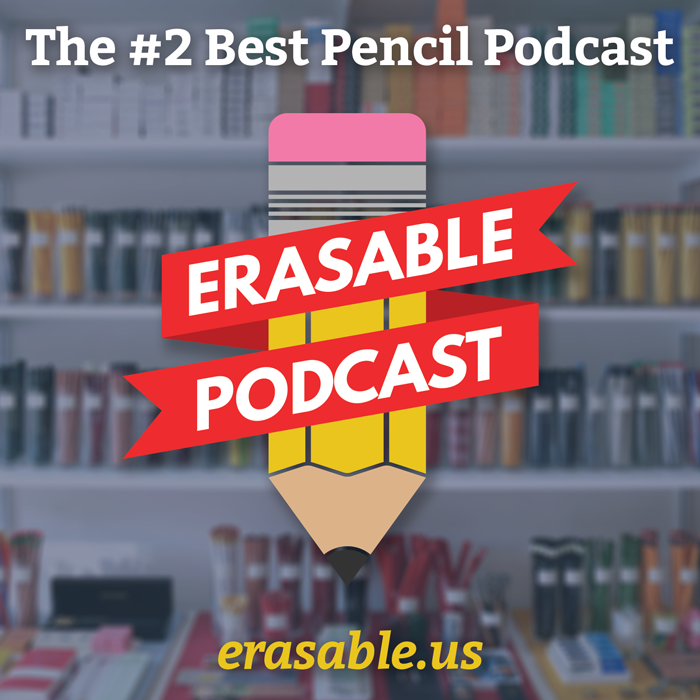 He was raised in Japan, and deeply understands the Japanese stationery market — how it reflects that industry’s values, their philosophy of product design, and how they approach creativity and learning. It’s important, he says, for Japanese schoolchildren to understand how to use a pencil. They spend a lot of time taking tests — writing and filling in little bubbles on a standardized exam. This pencil is soft and dark, so students don’t have to press too hard, which can affect their handwriting. 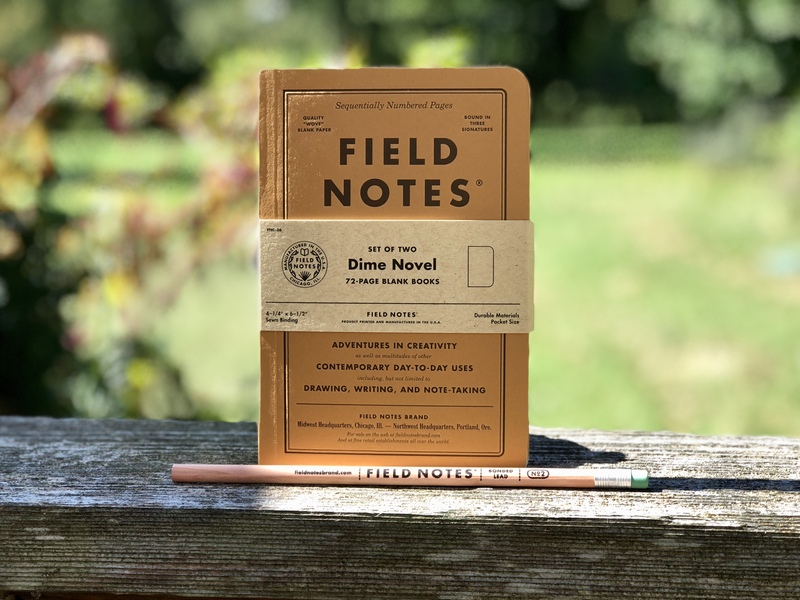 It’s lightweight and relatively thin — for little hands — and is probably relatively smudge proof because those hands are often clumsy and are dragged through the graphite markings. If you’re in the US, it’s pretty hard to get ahold of these — CW Pencils doesn’t have them, and neither do JetPens or Pencils.com. As far as I can tell, I can only get them on Amazon. But, the good news is that they’re not expensive — less than $7 for a dozen. They just take a while to get here. Check out my Medium Series review of this pencil. If you’re interested in picking up a dozen of these for yourself, you can find them on Amazon, here! EDIT: Someone pointed out to me that there are also Palettes in gorgeous pastel colors with pink and orange in the package, and Palettes in a soft triangle shaped barrel! Also, if you are reading this on your mobile device and have Medium installed, check this out — I was playing around with Medium Series, their new format similar to Snapchat or Instagram stories. I wrote this same review there, too. Whoa — it’s an actual pencil review! I haven’t reviewed an actual pencil since October, with the Baron Fig Archer. Of course, with the new renaissance of pencil blogs, you don’t need me anymore — I’m talking about impassioned publications like Lead Fast and, of course, the re-launch of Pencil Talk, which I’m very excited about.. However, there are some fantastic pencils out there that I want to explore. Sometime last year, one of my favorite places on earth, CW Pencils, started selling a series of pencils from Viarco. They’re a manufacturer in Portugal that often flies under the radar here in the US (though among our pencil community, people are getting hip to them). Making pencils since 1907, Viarco is a small but quality pencil brand that makes good quality HBs like the Premium 2001, or the Desenho 250 H (a dark, smooth pencils that CWP recommended for left-handers). What’s really remarkable about this collection is not how exceptional the pencils are in themselves — it’s the level of detail to which they recreated the originals. From the packaging to the paint on the barrel, they look incredibly similar. As a fan of vintage aesthetics (I know, I’m a dirty hipster), I knew I wanted to try them. But, at $15 a dozen, I knew I didn’t want to pick them all up. I went for the multicolored packs; the 3000 and the 1951 sets. I won’t spend a lot of time talking about how well they write — I honestly don’t think that matters as much. They’re not particularly remarkable. But they’re not terrible either. I would say they write dark and maybe a little on the scratchy side, like a General’s Cedar Point #2 or a Baron Fig Archer. The 1951 seemed to be the scratchiest of the two, though they were really similar. It really felt like what I usually expect a vintage pencil to feel like, if that makes any sense. It really seems like they went all out to replicate the vintage feel. The paint looks like it was really painted on, and the foil stamp on the barrel feels like it was really stamped — the 3000, for instance, had a deeper imprint in the center of the stamp than the edges, like like a round pencil barrel would dictate. The end-dip is just a little uneven, like maybe it was dipped by hand. I actually have no idea if that’s the case — if Viarco actually dipped and stamped their pencils by hand. But if they don’t, they replicated it perfectly. The cores are perfectly centered in the barrel — a look through both sets of 12 pencils shows that that’s the case for all of them. And the wood looks like it’s real cedar — it’s a bit darker and more fragrant than many modern pencils. I’d love to get hold of an actual vintage Viarco so I can compare the two. If I can do that, I’ll report back here. Meanwhile, check these out for yourself! CW Pencils sells all six varieties for $15 a boxed dozen, or if you can’t make up your mind, you can just buy the full set for $75. A year or two ago, I noticed a coworker of mine taking notes from a meeting in a “Grids and Guides” notebook. 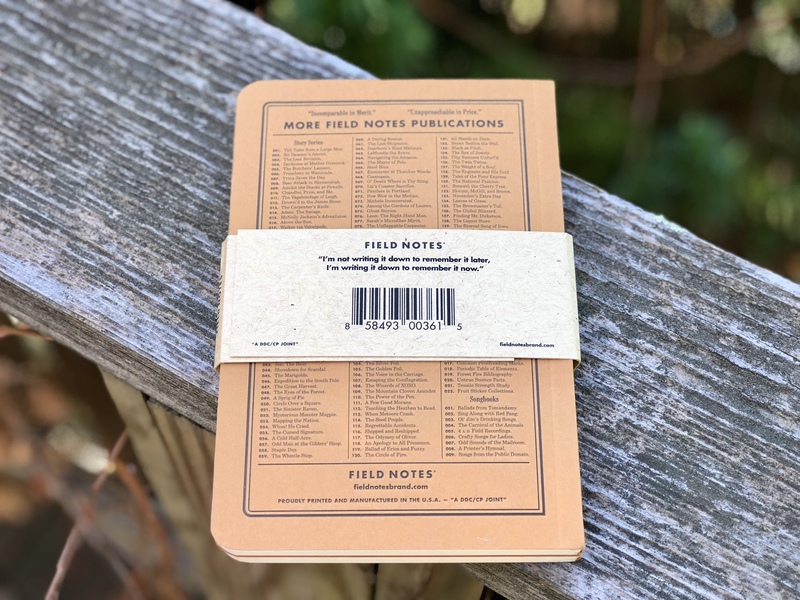 You may have seen these before — a simple, cloth-bound A5-ish sized notebook sold in a lot of hipster gift stores. They come with several pages each of unusual lines or grids. She was writing on a page that had a big Fibonacci spiral gridded on the inside. Throughout the meeting, I saw her follow the spiral until it got too tight to write in, and then she just started writing below it. After the meeting, I brought it up. She says she likes using that notebook because it gets her mind working. Like with doodling, keeping your mind engaged can sometimes help one activate their brain and concentrate on the meeting around them. I don’t think I’ve thought about that again, until my Baron Fig Askew showed up. I’ll try to walk you all through this thought process. As the box and inside pages indicate, this is ballpoint-pen blue. It looks like someone took a Bic Cristal and scribbled it in. The fabric cover is a rich, bright blue. The bookmark is deep red as well, and together, the notebook has a superhero vibe to it. I love it. It gets weird immediately when you open to a blank page. You see the layout, and although it emulates a piece of loose leaf paper, with blue horizontal lines and a pink vertical line to the right indicating the margin, you notice that it’s hand-drawn. There have been a lot of questions by people who haven’t seen one in person yet. I’ll try to answer as directly as I can. Are ALL the pages hand-drawn? Yes. Some are more straight and consistent than others, but no page is truly even. I see photos of pages that are just scribbled. What’s up with that? Baron Fig says about 10% of the pages are “unruly”, meaning that they’re a lot wackier than the 90% of “ruly” pages. Sometimes the unruliness manifests in the form of a scribble, or else all the lines are stacked on top of each other, or something else entirely. I won’t spoil all the views; there are 192 pages after all, but there should be 15-20 “unruly” pages in there. “Unruly.” I just got that pun. 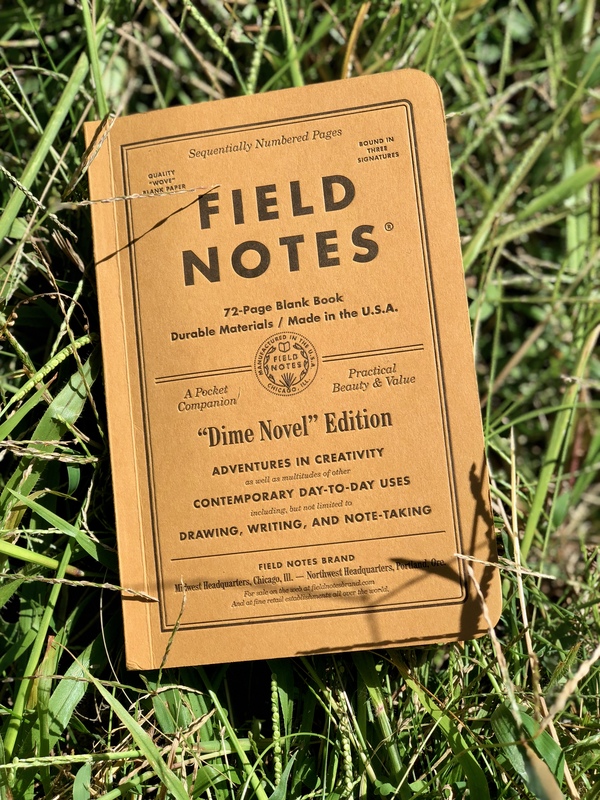 Is each, individual notebook hand-drawn and unique? I don’t think so. 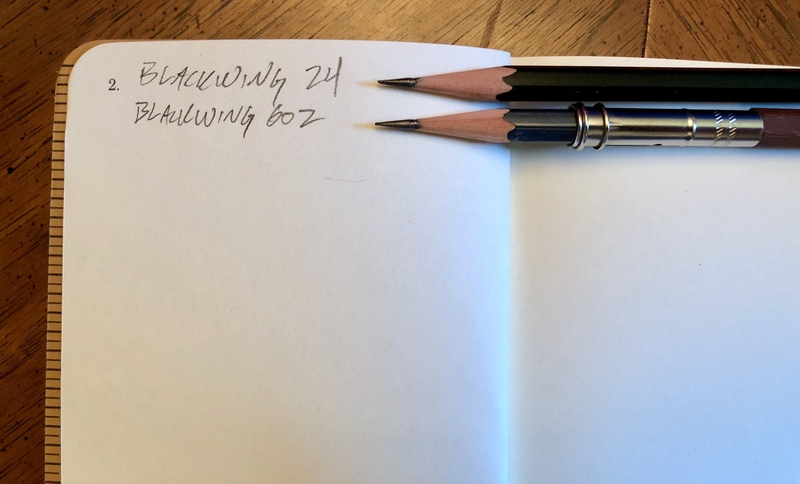 Debbie Millman, the artist, hand-drew a notebook’s ruling, and then Baron Fig duplicated that same spread in all their Askew notebooks. I did an Instagram live unboxing video, and Michael Hagan from Lead Fast confirmed it — his copy had identical spreads. How am I supposed to use those “unruly” pages? That’s up to you! Me, part of the usefulness of those pages is to think outside the box and figure out how you’re going to use it. Also: you could just leave it blank and ponder it. Using this notebook is an interesting experience. Generally, the slightly crooked lines don’t bother me — without lines, my writing is slightly crooked anyway. I do actually appreciate that, in most spreads, the lines are wider than those in a typical Confidant. I have a bit more room to write bigger. The left margin is also an interesting addition. Typically, Confidants and other similar notebooks don’t have a margin divider like this. And I never really paid much attention to it before, but I didn’t consistently keep my own margin. 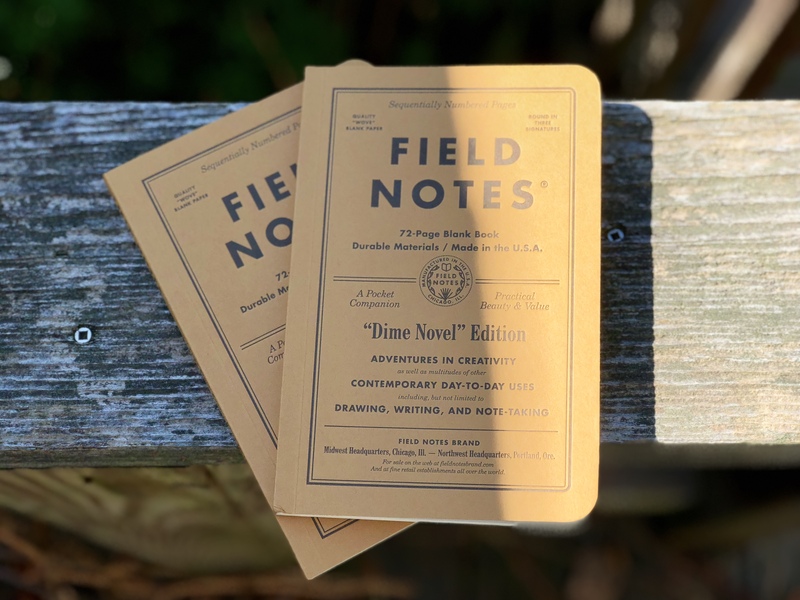 This prompts me to keep a comfortable distance between my writing and the edge of the notebook, which can be a visual relief. I’m not sure how the artist originally drew the lines, and how Baron Fig reproduced them for their notebook. But man, they did a good job. I was expecting slightly pixelated digital art, but the lines, for as crooked and hand-drawn as they are, were crisp and clear. I recognize that this notebook is not for everyone. Some people need a consistent, straight line to plot their output. And I can respect that. Joey and Adam took a big chance with this book. It’s not just the same old Confidant, but with a different colored cover and bookmark. They truly reinvented it. For me, it was effective — like with doodling, following the slightly askew grids helped me open my mind up to what I was listening to or thinking about. Joey and Adam: if you’re reading this, I think I speak for a lot of people when I say, GUYS. I want a Confidant with this exact exterior look; this rich, Bic Cristal-blue fabric cover and scarlet-red bookmark, but with regular lining. That would be such a beautiful addition to my (ever-growing) Confidant stash. In the meantime, though, this is perhaps not my every day notebook. I know I’ll pull it out when I need to take notes but don’t mind being a bit playful. The unique whimsy of the crooked lines and the surprise of the “unruly” pages put me in a mindset that I definitely don’t dislike.